Munich - Robbie Kruse is working hard on his comeback from the anterior cruciate ligament injury he picked up just a week before the Bundesliga restart last month, although he has not set a date for a return. The Australian forward suffered the setback in training and has spent the best part of the last month locked inside Leverkusen's gym rather than being out on the field. Nevertheless, he is making good progress, admitting the worst is now behind him. 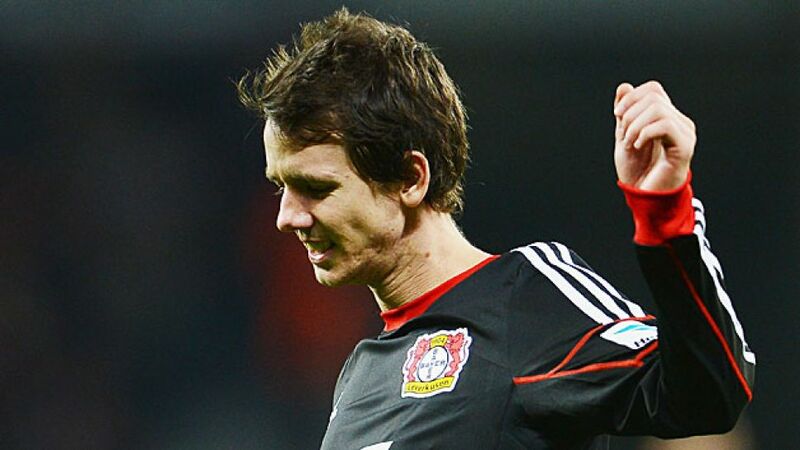 "The first one month is quite boring and long," he said on bayer04.de. "You've got do all the basics, but I know all the foundations are being laid then and after the first month is done, I can start to get gradually better and better and start doing more things." Patience is necessary for such injuries and Kruse is therefore refraining from making any forecasts about when he will be seen on the field again. The 2013/14 season has already been put to bed and the FIFA World Cup in the summer is no longer a priority either. Getting fully fit is. "My main objective is to be back next season," he said, "I don't want to go to the World Cup just to sit on the bench, wanting to play. If I can't play I don’t want to take the position of another player who can do a better job than me." A return in June is feasibly possible, but at the same time, the risks of a relapse would be greater if enough due care and attention is not taken. With Leverkusen's medical staff caring for the 25-year-old day in, day out, he knows he is in better hands with the Bundesliga club than he would be sweating it out in Brazil. "It's quite difficult mentally, but I've got lots of support here so hopefully it will continue," Kruse said. "It was disappointing and I was very upset. I'd been training so well, but life goes on. I've got to work hard and try to come back." Leverkusen fans can't wait either since his two goals and two assists in just four starts in the first half of the season already endeared him to the club's faithful. What will certainly be a loss for Australia in the summer will be a gain for Leverkusen next season when Kruse returns fitter, stronger and motivated to make up for lost time.